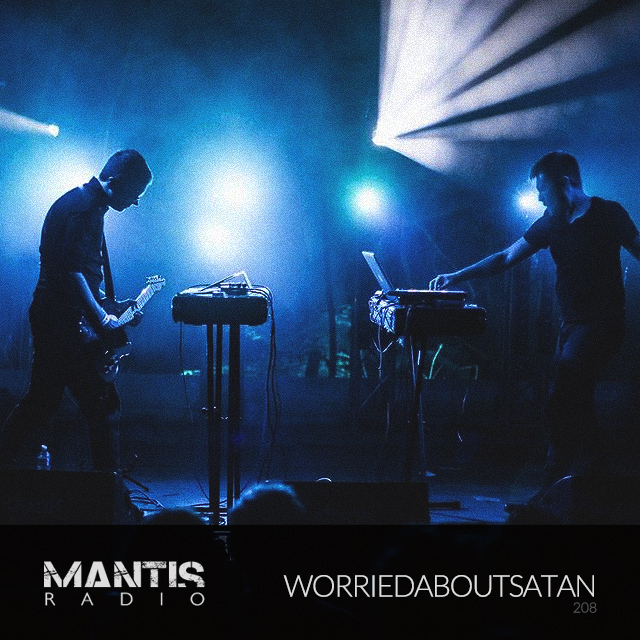 Mantis Radio 208 + worriedaboutsatan | Darkfloor. Bringing a “weird mix thing” to the show, in session we’ve Manchester post-rock ambient techno duo worriedaboutsatan. Before that, we’ve new and old, including Rawtekk, S.P.Y., Matt TdK, Source Direct remixed, Tempa, Kangding Ray, Jonny L, Hoth System, Herd and Hype Williams. Gavin Miller and Thomas Ragsdale’s worriedaboutsatan make beautiful post rock meets techno electronica. Formed in 2005 in Leeds, the Manchester based band have to date released two albums and several EPs worth of material. Melding post-rock with ambient techno and electronica, the pair make some truly beautiful sound. Last year’s phenomenal Even Temper stills gets regular listens at the Darkfloor HQ. Both record and release music solo under their own names and were also recording together as Ghosting Season, a band they’ve killed in May. You’ll have heard material from Ragsdale’s Dear Araucaria on the show back in January. A rare outing under his own name, usually releasing his material as Winter Son. Miller has just released his second solo album Torches. Available on his label This Is It Forever. Their session is a mix of favourites and influences, central to the band’s sonics, a “weird thing mix” as the pair described it.